Amid all the talk of a turning property market, it is a remarkable fact that over the past decade growth in house prices has massively outstripped growth in rents. Residential property prices across the eight capital cities, adjusted for inflation, have climbed by close to 30 per cent since 2008, Curtin University professor of economics Rachel Ong calculates. Sydney and Melbourne has been where the most action has been, with real prices lifting by 54 per cent and 43 per cent, respectively. 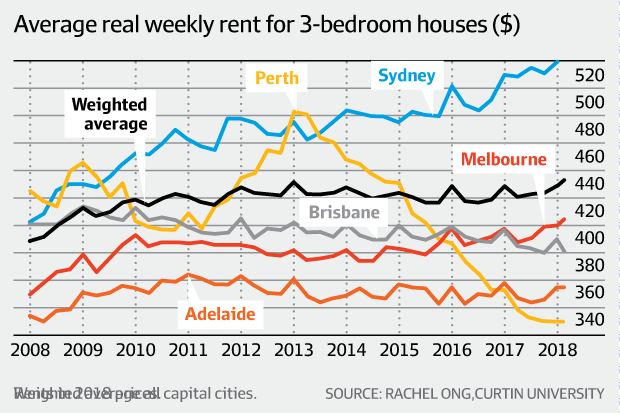 In contrast, over the past decade the average rent for a three-bedroom house across the capital cities, once again after inflation, has only lifted 10 per cent, or a third of the pace of house price gains. 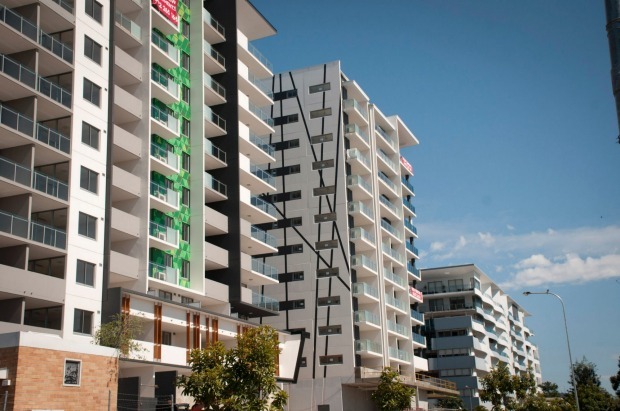 The equivalent rise in rents for two-bedroom apartments has been 13 per cent. There are some differences between individual cities, but the only noticeable increase in rents over the past 10 years has been in Sydney, and that has still lagged well behind price appreciation, Dr Ong notes. This spectacular divergence tells us two things, she says. Firstly: there is no major shortage of houses for Australians to live in. If there were, rents would be taking off. Second, simply building more homes is unlikely to ease affordability. Many analysts assume that if property prices are surging over a long period, then supply must be running well short of demand. It’s Economics 101, right? Wrong, Dr Ong says. Housing is a tricky market because dwelling values reflect not only demand for shelter – a place to live – but also investor demand for property as an asset. But the policy challenge is around the first of those two classes of property buyers. And it’s rents, not prices, that provide the purest signal of whether supply is keeping up with demand for homes to live in. The mild increase in rents over recent years suggests the opposite. 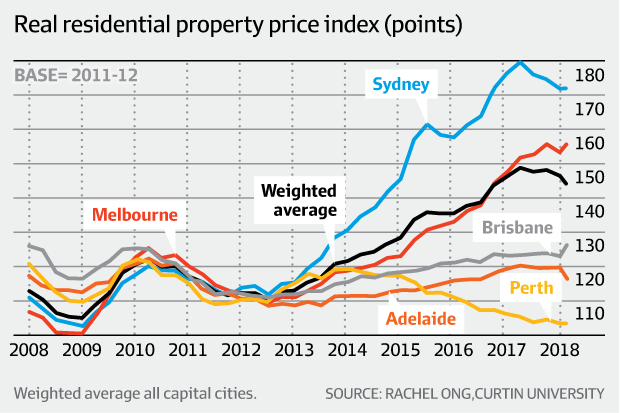 Residential property prices across the eight capital cities, adjusted for inflation, have climbed by close to 30 per cent since 2008, Curtin University professor of economics Rachel Ong calculates. Yet arguments that a lack of supply is to blame for sky-high property prices continue to rattle around the public debate. Earlier this year an RBA research paper blamed restrictive zoning practices for massively boosting the cost of land, and therefore housing. Property groups quickly seized on the analysis as evidence of a need to boost supply to keep up with demand. Dr Ong obviously fundamentally disagrees with this finding, on the basis that price is simply the wrong yardstick. Which prompts the question: why are prices so high, then? Dr Ong reckons it’s the investor component of the equation that has driven values well beyond fundamentals, as Australians have taken advantage of tax incentives and cheap and readily available debt to plough money into bricks and mortar. “I think investment in property is clearly a good thing – up to a certain level,” she says. But the level of investment “may have gone overboard”.